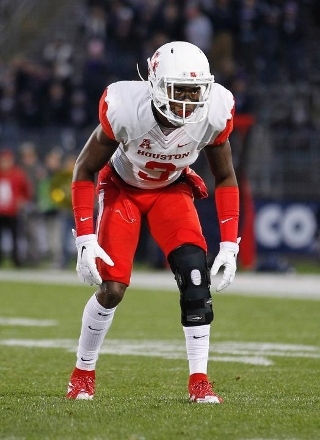 Houston cornerback Will Jackson figured he would be drafted in the first round by a team in the AFC North. But he thought it was going to be the Pittsburgh Steelers. “I definitely did,” said Jackson. “I had dinner with them and we had great chemistry. They were telling me a lot of good things so I felt like they were coming. But I’m happy to be a Cincinnati Bengal. Jackson had five interceptions last season and led the nation with 28 passes defended. “When the ball is in the air, he can find it in the blind spot and make plays on the ball with those long arms,” said ESPN’s Jon Gruden. It helps to have great closing speed. Jackson says he ran a 4.29 40-yard dash in junior college and the 23-year-old was timed at 4.37 seconds at the NFL Scouting Combine. 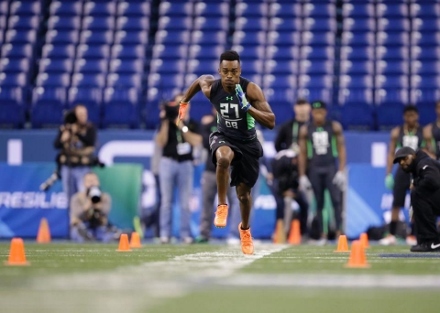 Jackson was widely projected to be a first round pick and PFF gave him a Top 10 grade. But rather than attend the draft in Chicago, William elected to watch it at home in Houston. “I wanted to be around my family and the people that loved me and helped me get to this point,” said Jackson. “I wanted to celebrate with them. Now he looks forward to returning to Cincinnati after meeting with the Bengals coaches several weeks ago on a pre-draft visit. He may have already accomplished something in the eyes of Bengals fans if being selected by Cincinnati disappointed the rival Pittsburgh Steelers. “The Steelers in the division were eyeing him at number 25, and the Bengals get him at 24,” said ESPN draft guru Mel Kiper. “It’s been a roller coaster,” said Jackson. “Just sitting there waiting for the call and looking forward to it finally coming in. It’s truly a blessing and I was overwhelmed.